Oakes Manufacturing LLC. 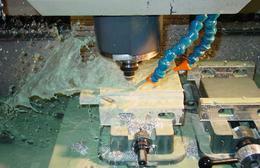 is a premier provider for machined components in the Northern Colorado area. We can work in most any material and machine parts of virtually any shape. We are capable of running prototype and medium volume production parts. We have excellent rates for medium volume (20 - 1000 pieces) orders, contact us for futher details. We gladly accept and prefer Visa, Mastercard, Discover and American Express payments. We have a lot of experience at machining uniquely shaped components and developing the fixturing required to machine them. Give us a call or send us an e-mail and get a quote today!! 2018 Oakes Manufacturing LLC. All rights reserved.